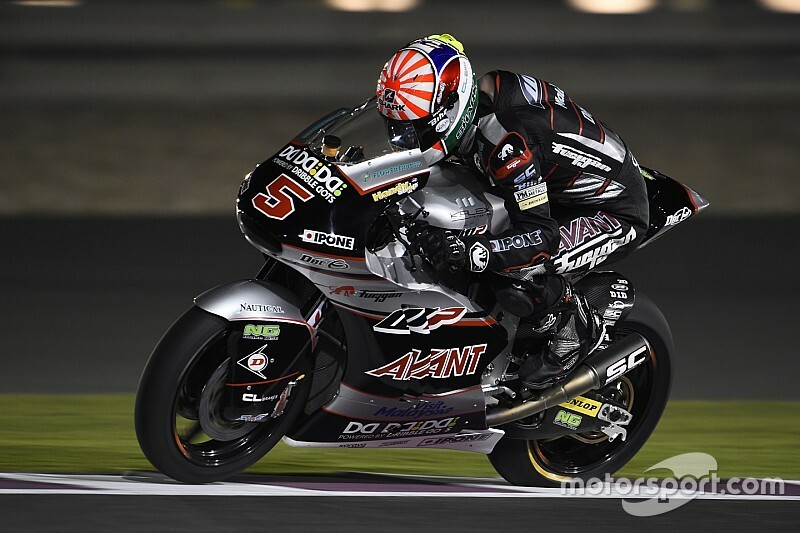 Moto2 and Moto3 preview: Who can stop Johann Zarco? Both of MotoGP's support classes are bubbling with talent this year - but who will come out on top? Jamie Klein and Oriol Puigdemont guide you through all the runners and riders in both Moto2 and Moto3. Last year, Johann Zarco pieced together the most dominant campaign in Moto2 history aboard his Ajo Motorsport Kalex, and the Frenchman is back to defend his crown in the intermediate class after turning down the chance to graduate to MotoGP – hoping another year at this level will give him a better set of options for a planned 2017 move to the top class. 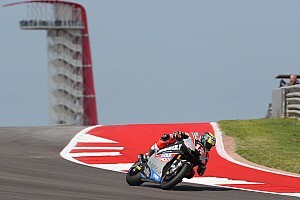 Zarco’s mammoth winning margin of 118 points was bolstered somewhat by a late-season injury for Tito Rabat, the only man from last year’s field to step up to MotoGP, the Marc VDS rider’s absence paving the way for Alex Rins to claim the runner-up spot. 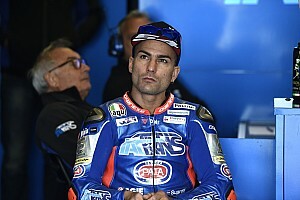 Sticking with the same Pons team that has propelled Pol Espargaro and Maverick Vinales to stardom in recent years, the cool, level-headed Rins – who picked up wins at Indianapolis and Phillip Island last year – starts as co-favourite with Zarco, having already caught the eye of the factories in MotoGP. A Tech 3 Yamaha seat in 2017 could be a just reward for title honours. Another rider with a MotoGP future looking assured is Sam Lowes, already with a contract to join the works Aprilia squad next year in his pocket. For now, after a season flattering the Speed Up bike, the Briton gets to compete on level terms aboard a Gresini-run Kalex and should be right in the mix, especially after finishing Qatar testing top of the pile. Elsewhere, KTM test rider Thomas Luthi – despite entering his tenth season at this level – will doubtless be a factor for race victories as ever if his testing pace is any guide. His teammate at the Interwetten squad, Dominique Aegerter, will be looking to recapture his race-winning 2014 form after suffering an injury-ravaged season last year. Also on the pace in testing has been Jonas Folger, who was quick and inconsistent in equal measure last year for AGR, but now partners Sandro Cortese at the Intact GP outfit. Boasting a likewise strong line-up is Marc VDS, which has promoted talented Italian Franco Morbidelli to replace Rabat in its Moto2 squad alongside Alex Marquez, younger brother of two-time champion Marc. Former Moto3 champion Alex needs to rebound from a subdued maiden campaign in order to keep up his career momentum, but will have his work cut out to beat Morbidelli, who embarrassed veteran teammate Mika Kallio last year – sealing a top 10 championship position despite missing four races. Other top 10 finishers Xavier Simeon (QMMF Speed Up), Takaaki Nakagami (Team Asia Kalex) and Lorenzo Baldassarri all return this season, the latter partnered at Forward Racing by Valentino Rossi’s half-brother Luca Marini, who steps up to the Grand Prix paddock after a season in Spanish Moto2. 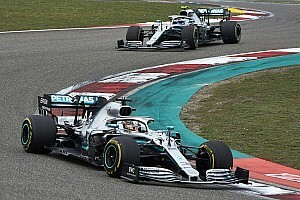 The two main rookies to keep an eye on however will be Leopard Racing teammates Danny Kent and Miguel Oliveira, who partner up after fighting each other for the title in Moto3 last year. If testing form is anything to go by, Kent should be a frequent visitor to the Top 10, although Oliveira seems to have had a slightly tougher time adapting so far. Besides Simeon, all the aforementioned riders will be on Kalex machinery this year, the German manufacturer consolidating its near-monopoly by supplying 24 out of 30 bikes. Simone Corsi and Julian Simon fly the Speed Up flag along with Simeon; rookies Isaac Vinales and Xavi Vierge team up at Tech 3; and Moto3 convert Efren Vazquez is the sole representative for Suter. Oriol Puigdemont says: Considering that the last Moto2 champion didn’t move up to MotoGP, we have to point to Zarco as the man to beat. The Frenchman will be chased hard by Rins, Marquez and Luthi, who has been super-fast this winter. With the top two riders from last year’s superb Moto3 field moving on for 2016, this year’s title battle is wide-open – with at least half-a-dozen riders in with a chance of bringing home the silverware. The highest place returnee is 18-year-old Enea Bastianini, who took a maiden Grand Prix win at Misano last year and enters his third season in at this level. The Italian will spearhead the Gresini Honda charge again in 2016 alongside rookie teammate Fabio di Giannantonio, runner-up in last year’s Red Bull Rookies Cup. But Bastianini will face stiff opposition from within the Honda camp, most notably from Estrella Galicia rider Jorge Navarro, who ended his rookie season last year as one of the category’s top riders and has to be considered a major threat for title honours this time round. Teammate Aron Canet, second in Spanish Moto3 last year, will also be one to keep an eye on as the season progresses. Elsewhere in the Honda camp, Niccolo Antonelli (Ongetta-Rivacold) was the man to beat in testing, narrowly edging Livio Loi (RW Racing). Loi's maiden win last year came in unusual circumstances at Indianapolis, while Antonelli proved his Brno victory was no fluke by picking up a second in Japan – and ought to be firmly in contention for the championship in what will be is fifth season at this level. Boasting similar experience is the man charged with leading the KTM assault, Romano Fenati. 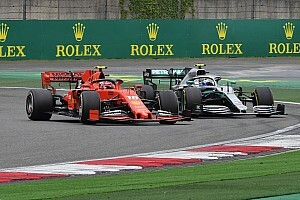 It feels like a long time since he burst on the scene in 2012 to win only his second ever Grand Prix, and after another up-and-down campaign in 2015, the 20-year-old – who goes into a third season with his mentor Rossi’s Sky Racing VR46 team – needs to show he’s capable of mounting a cohesive title challenge. Alongside Fenati at Sky Racing will be Andrea Migno, who will be looking to build on a solid if unspectacular rookie campaign, and Rossi’s newest protégé Niccolo Bulega, who has shown strongly in testing after beating Canet to Spanish Moto3 honours last year. Also with a three-bike line-up is the Leopard KTM team, which took Kent to title honours last year. This year, the team boasts an all-new line-up of French superstar Fabio Quartararo – the man touted as the next Marc Marquez – alongside Spanish Moto3 frontrunner Joan Mir and Andrea Locatelli. While Leopard has gained an extra bike, the Red Bull Ajo team has scaled back to two KTMs for Brad Binder, who could be a major championship threat with the full weight of the Finnish squad now behind him, and Red Bull Rookies champion Bo Bendsneyder, another sure contender for Rookie of the Year. Mahindra still appears to lag some way behind Honda and KTM despite the introduction of a whole new bike over the winter. Aspar remains the Indian firm’s best hope of success, with Francesco Bagnaia and Jorge Martin both returning, while Racing Team Germany - now branded as the factory Peugeot team following a switch to Mahindra - runs an unchanged line-up comprised of veteran Alexis Masbou and John McPhee, the only Briton in the field. Finally, Moto3’s sole female representative Maria Herrera deserves a mention after scraping together the funds to be able to build on a promising rookie season. The 19-year-old returns with the Laglisse KTM team, which is down to a single bike after the pull-out of key sponsors during a tumultuous winter. Oriol Puigdemont says: We're going to see some very good fights between Quartararo, Navarro, Bastianini and Fenati, but at the same time it’s worth keeping an eye on Antonelli, Binder and Bulega. Pressed to name a favourite, I’d say Quartararo by a nose.